SAN TUNG, always keeps the policy of "Quality First" & "Innovation". Since 1977, we had won long term support from domestic & oversea customers. 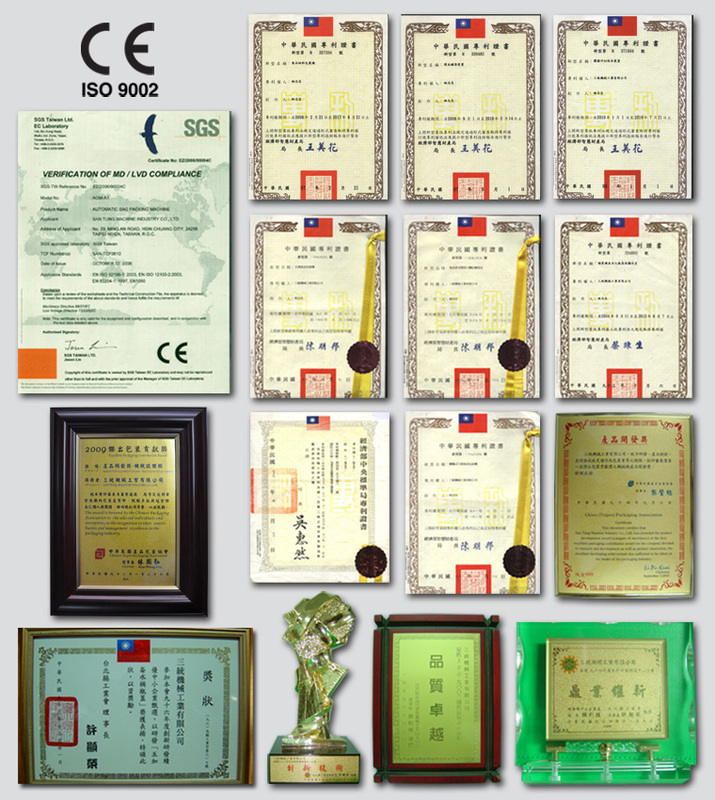 We won many new patents & awards and passed the certification of CE & ISO-9002. We will continuously create new products to meet the customers' necessary & the market's trend. Taiwan (R.O.C.) outstanding contribution award for packaging machine in 2009.